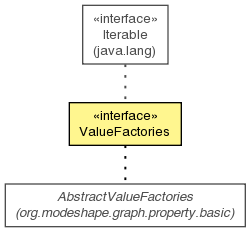 The set of standard ValueFactory instances. Get the value factory that is best able to create values with the most natural type given by the supplied value. Get the value factory that creates values of the supplied type.